VANCOUVER — Joey Grimaldi is no stranger to the art of fine cuisine. In fact, he grew up in his family’s French and Italian gourmet restaurant, where they would cook flambé dishes like bananas foster or cherries jubilee tableside. It was here that he was exposed to the ins and outs of running a restaurant from a young age. He explains that he has always had a love for fine food and when combined with being around the restaurant for most of his life, he was ready to set out on an adventure of his own. 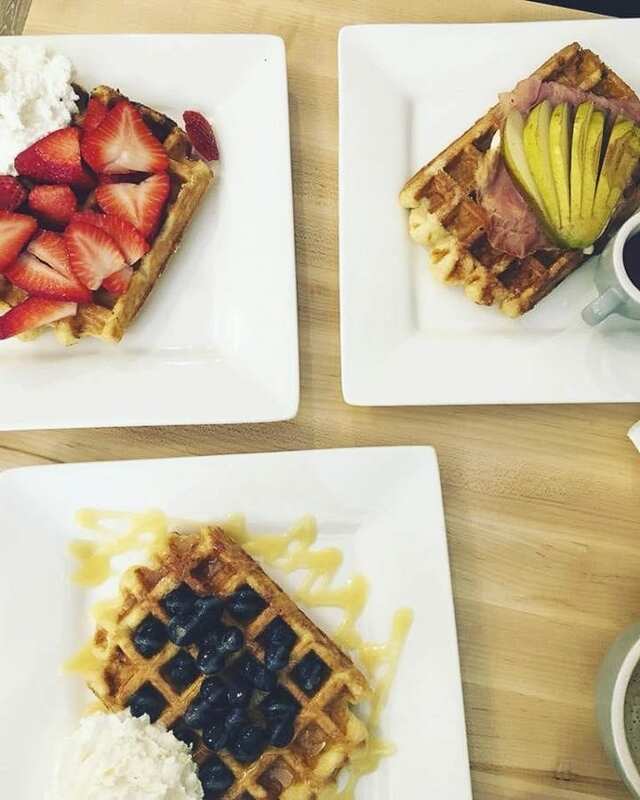 Since its opening on International Waffle Day on March 25, Syrup Trap makes its home in the heart of downtown Vancouver. It currently employs four people in addition to Grimaldi at the helm. He hopes to add two more employees very soon. As a long-time resident of Vancouver, Grimaldi explains that he wanted to tap into the city’s amazing potential. He had already owned a downtown business for over 20 years and has loved being a part of the community here. He believes that the sense of community is what makes the Vancouver restaurant scene special. And so far, Syrup Trap has created quite a loyal following within the community. People are curious what makes liége waffles different and Grimaldi is happy to explain it. Grimaldi goes on to share that people have really seemed to gravitate toward their selection of savory waffles, especially the “Couve Club” which is made with honey maple turkey, Havarti, bacon, and raspberry preserves, and the “Second Breakfast” which consists of brie, prosciutto ham, and organic pear. He also shares that for people that prefer their waffles sweet, the Leslie Knope made with organic strawberries and whipped cream, as well as the JG2 (JG Squared) with organic blueberries and lemon curd are some of the most popular selections. Grimaldi believes that ultimately, the success of his new restaurant lies in product quality and attention to detail. 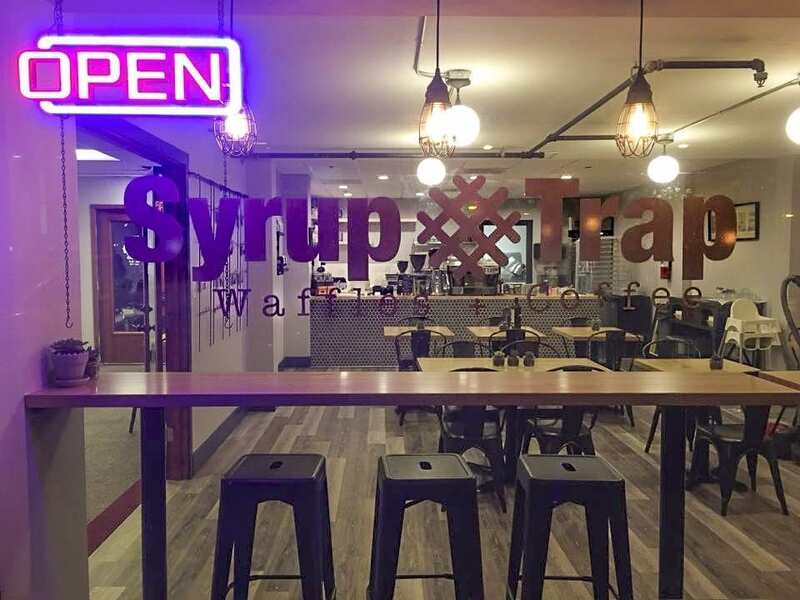 Syrup Trap is located at 1104 Main Street, Suite 111, Vancouver. For more information, visit www.syruptrapwaffles.com/.